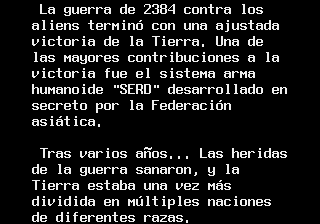 A war with the aliens was ended with victory of the Earth, thanks to secretly developed battle robots named SERDs. Years passed and wounds from this war were healed. Humans once again divided into multiple nations. And, as always, started to make a more powerful weapons. A new and much more powerful battle mech prototypes named VECTOR were developed and subsequently build. And while Takuya and his team were testing them, some unknown enemy VECTORs attacked their base. 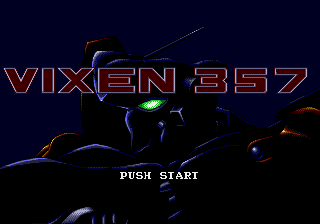 Vixen 357 is a turn-based strategy RPG game developed by the same team responsible for the Langrisser games. Those who remember and like Langrisser games will feel right at home with this one, but it also has its own distinctive features, so it’s not just “Langrisser IN SPACE!!”. 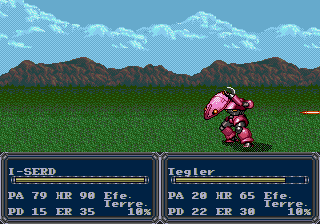 All characters can use different mechs and weapons, and there are special attacks. Many situations require to use some tactical thinking, so you cannot just rush headlong into things for the most part. 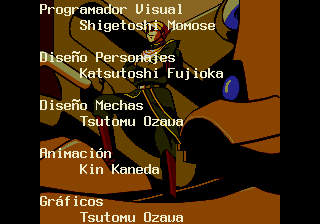 Translation to Spanish for “Vixen 357″ for Sega Genesis/Mega Drive. Based on the English translation by Nebulous Translations. 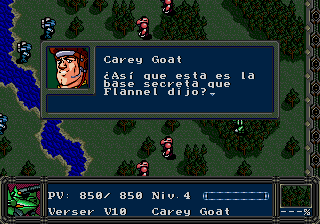 V1.1: Fixes intro and translates untranslated strings.